You collected all missing stuff! CLICK ON THE CAMPER TO MEET HIM! Oscar and Hedgehog have just been dropped off at Summer Camp in Maine. As soon as their parents leave the island, the strangeness lurking beneath the surface comes out! 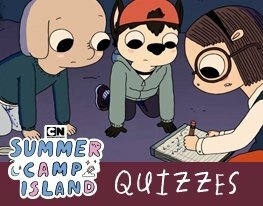 Join Oscar, Hedgehog and all their friends as they discover magic and mysteries on Summer Camp Island, a place full of wonder where almost anything can happen. You never know what to expect when your camp counselors are witches, but Oscar and Hedgehog are up for any adventure.